It just so happened that I had the exact yarn needed on hand as well! Sarah used “Loops & Threads Country Loom Baby Yarn” which is exactly what I used for my “Fuzzy Baby Bunny Outfit”! It is a very soft and fuzzy yarn that is extremely cozy! The pattern itself works up very quickly, and the bobble stitches give this hat a beautiful texture. 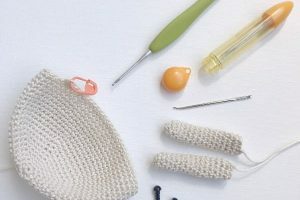 Sarah demonstrates how to do the bobble stitch in her blog post as well! And if you do not want to use this fuzzy bulky yarn, Sarah also includes the pattern for worsted weight yarn! I was so excited to try this hat on Brielle! Here she is at 4 months old! As you can see, she is a very happy and smiley baby! It is such a blessing and privilege being able to take care of my two girls and watch them grow up! Sooner than I know it, Brie will be crawling, walking and running around with her big sister Myla! Being a mother can be very tiring at times, but it is oh so rewarding and I know that we are blessed beyond measure that God gave these two little ones to us! 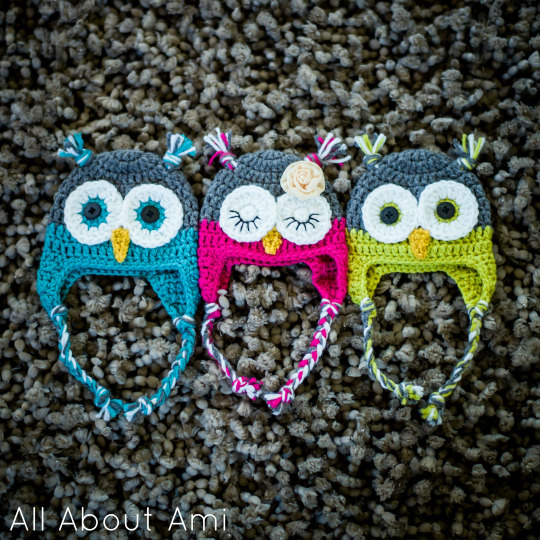 Here’s another project you can make using the same Country Loom yarn: Cotton the Lamb! We designed Cotton after watching the anime movie “Oblivion Island”! 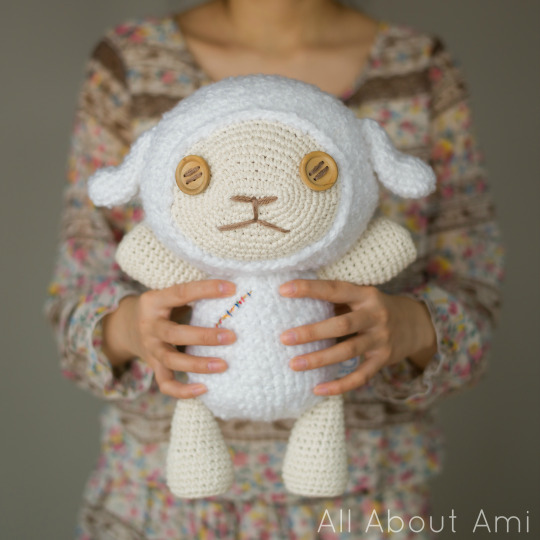 These lamb projects are all perfect for this year since it’s the “Year of the Sheep/Ram/Goat”! 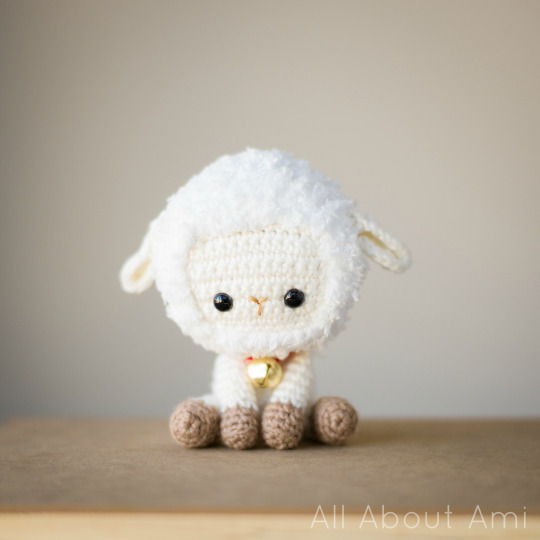 Don’t forget to try out this little lamb named Lambert that we designed to celebrate Chinese New Year (free pattern HERE)! 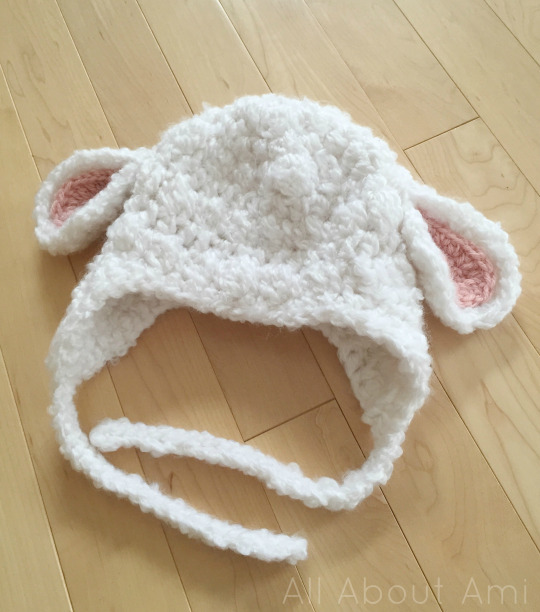 Thank you to Sarah for providing us all with this wonderful free lamb hat pattern (found HERE)! The finished products is so soft and gorgeous, and my heart absolutely melted once I saw our precious baby girl wearing it!